There are tons of other virtual currencies you can invest in. But how do you know where to invest? How do you keep track of the market’s ebbs-and-flows? And most importantly, where do you keep your hard-earned cryptocurrency? With so many apps developed and offered, finding the right one to keep you updated with the crypto world and help you with converting and tracking currencies and cryptocurrencies is hard. To help we found the app you need. Let’s see what the app is about. What is The Crypto App all about? 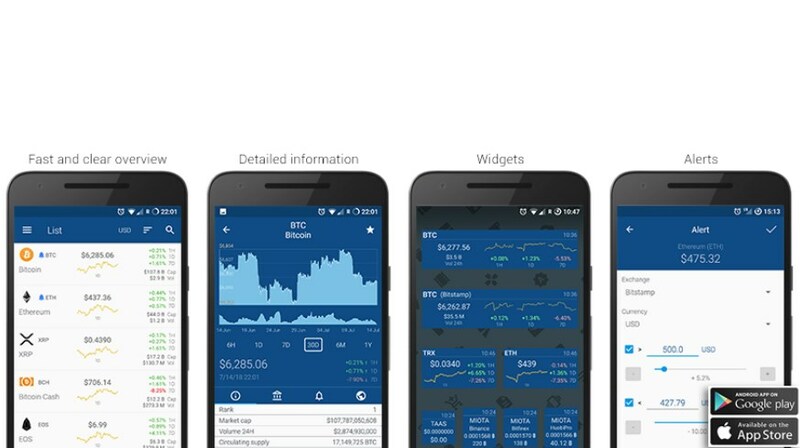 The Crypto App is accurate and unique multi-currency rate tracker app which is easy to use and highly efficient, offering users all the features they need for their cryptocurrency and currency needs. By using the app that is developed for android and IOS users, the users have the chance to effortlessly, easily and quickly track bitcoin and altcoin rates or track these rates against other currencies and cryptocurrencies. All users can convert and track bitcoin and altcoin rates and prices all in real time, just by using their phones, keeping track with the currency and crypto world whenever they need it. The features offered on the Crypto App are helping users with all needs they have when it comes to bitcoin and altcoin rates, with their conversion and tracking. By using the app’s help the user can search in altcoins if they want without much effort and even set priority list of their most favorite altcoins if he wants to. The app is allowing users to see a detailed view of crypto cryptocurrency with a chart as well. The app allows as well adding widgets and setting prices very easily and quickly. The app has a history mode that allows the user to convert between cryptocurrencies and currencies without any effort. Supporting many currencies such as EUR, USD, BTS and many more currencies, the user has various choices of all the cryptocurrencies and currency’s needs. Staying updated is also offered on the app because the user has the chance to read all the news in the crypto world, constantly staying informed with what is happening, and the changes made. No matter if a crypto lover likes to track bitcoin rates against ether price or bitcoin price against ripple price the app is multifunctional and offers all the user needs to be done. Download it on Google Play and App Store for free to track cryptocurrencies and currencies in real time!